This is the ‘meat & potatoes’ of our business, we can cut, trim & edge and maintain your lawn to a high standard. Whether it is just for a few weeks while you’re on summer holidays, or for the entire season, let us take care of your lawn so you can enjoy your summer. Including basic lawn cutting, this option adds lime, fertilizer and weed treatments. We take care of your yard from start to finish. Core Aeration – displacing small cores of earth to decompact and allow for better drainage, while allowing air and food to reach your lawn’s roots. Power Raking – to remove dead grass and moss that has grown in over the winter , allowing your lawn to thrive! Top Dressing & overseeding – We use a mix of sand and soil which is layered over the current grass providing an excellent growing environment for new seed. Topdressing also buries and leaves remaining unwanted moss to decompose while protecting existing lawn roots, leaving a nice healthy blade of grass exposed. This allows for a thick, healthy lawn – negating weeds and moss while looking its best! We deliver! Quality local products & Competitive pricing on soil, mulch, and rock – anything your yard needs. It’s never a bad time to prune, however, fall and winter are an ideal time! We prune during the dormant season, avoiding surge growth (plant recovery). All our teams use proper pruning methods and selective techniques that help maintain healthy regrowth. The main objective of pruning is to keep the trees strong, healthy and attractive. Our team removes dead, diseased branches correctly preventing disease. Removing broken or damaged limbs and branches by making proper cuts encourages wound closure also minimizes the risk of disease Pruning also increases airflow by thinning branches and removing crossing or rubbing branches keeping your trees healthy and strong. Pruning helps to strengthen tree structure and reduce the likelihood of damage during severe weather by encouraging energy to go to healthy limbs and branches… Call us for a consultation, and we’ll help you determine what your yard needs! 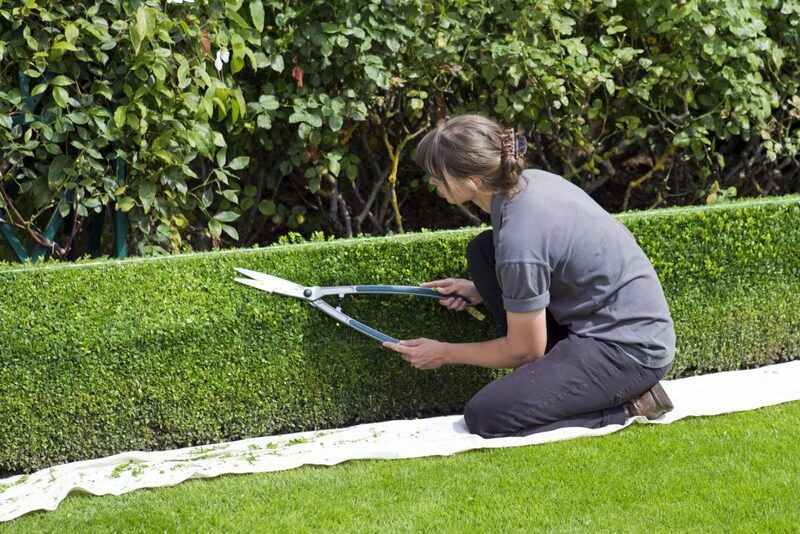 Now is ideal time to cut all hedges and shrubs ! They will grow not grow significantly until spring and will remain tidy over winter.